I am an amateur photographer, musician, trained psychotherapist, computer programmer, writer, and more. I must have checked my carry-around drinks bottle like a thousand times today and, yes, it&apos;s still water. My latest blog article on colour-toning and how it is interdependent with my photographic principles of encapsulation and orientation. Ah, I see you&apos;ve unplugged your charger. I take it you want your screen turned on to use up your battery faster. Why did I learn photography from Flickr Explore? Let me show you why. And let me show you some excellent examples of the kind of photos I learned from. "Ah, Sherlock, you&apos;re home. Sit down by the TV and tell me what you bought at the gardening centre." "A lemon tree, my dear, what&apos;s on?" "Holmes! Moriarty just pelted me with flour and eggs!" "Quick, Watson! Back to Baker Street!" Started my new Yoga class yesterday. In the wrong place, I was. Took off the mask and little green costume, I did. Him: "Don&apos;t be stupid! The earth isn&apos;t flat!" My local clairvoyant couldn&apos;t pay me for fixing her car and suggested that she could &apos;pay me in kind&apos;. I said, "You&apos;re joking! It&apos;s going to cost you a fortune!" Ten free, royalty-free CC0 (Public Domain Dedication) photos taken at the Put it to the People march and rally on Saturday 23rd March 2019, free for use in your blogs, news websites, etc. Is it all about the gear? Plus, why I shoot Raw plus JPEG. "So, Boris, how do you pronounce the word &apos;Uranus&apos;?" I made a short (1&apos;19") video of today&apos;s Global Climate Strike in London. It&apos;s published under the Creative Commons CC0 (Public Domain Dedication) licence. 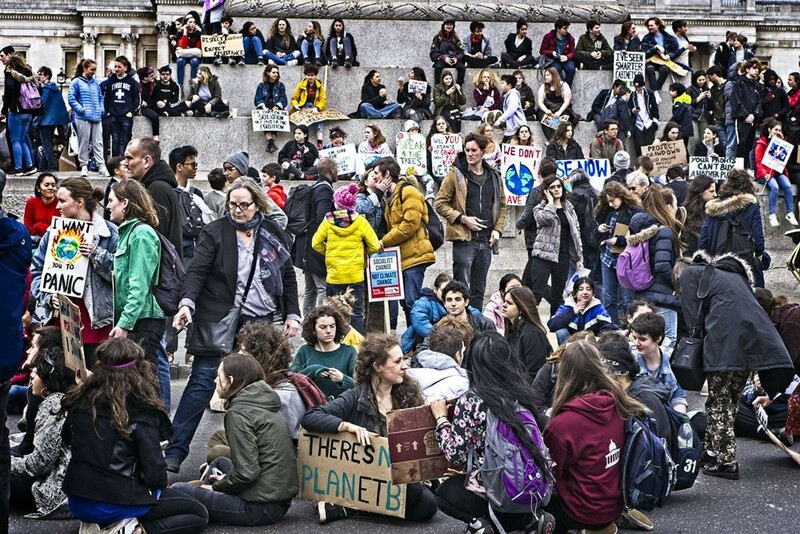 Twenty free, royalty-free (Creative Commons CC0 Public Domain Dedication licenced) photos taken at todays Schools #ClimateStrike in London, for use in your blogs, websites, and news items; and you may crop, edit, and/or composite.